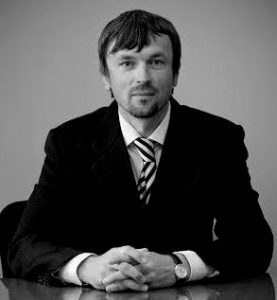 Dr. Mykola Didukh is Assistant Professor at the Kyiv Institute of Modern Psychology and Psychotherapy. He is a longtime psychologist and researcher into the relationship between individual psychology and societal structures. He has explored the problem of how political awareness forms in the young population under conditions of social instability and has shown that this awareness is an integral part of individual consciousness. He has also developed an integrated theory of socio-psychological patterns of ethnic individuation and how this process affects the collective and individual levels of any organization. Dr. Didukh is Co-Director of the Global Union of Scientists for Peace for Ukraine and National Leader of the Transcendental Meditation organization in Ukraine.